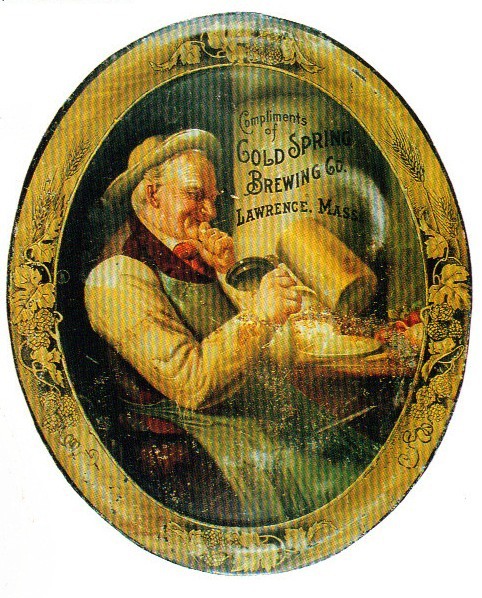 Serving Tray for The Cold Spring Brewing Company out of Lawrence, Mass. showing an elderly gentleman enjoying his mug of the company’s brew. This 14″ x 17″ oval sign was produced by the H.D. Beach Co. sometime between 1900 and 1910.